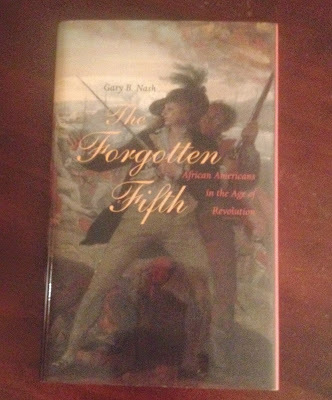 As I was reading this book, The Forgotten Fifth, I had almost every emotion that a person could experience: powerful, proud, and anger just to name a few. Jenny Slew, a Black woman of Salem, Massachusetts who sued for and won her freedom. Mum Bett , a black woman who sued for her freedom, won, and changed her name to Elizabeth Freeman. Richard Allen, a slave who bought his freedom. 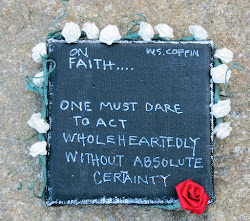 He became a preacher and was sent to preach in Philadelphia. He was "instigator of the Free African Society, which ministered to the needs of the people coming out of slavery, the creator of one of the first independent black churches, the co-author of one of the first published black texts opposing slavery and white racism, the organizer of Philadelphia's first Black school, and the founder of the African American Episcopal Church." Now, I thought I was over the anger, and I am over the anger of slavery, but evidently I am not over the fact that it is not common knowledge that Blacks have always actively participated in the struggle for their freedom and were not just sitting around waiting for their free papers. In the second part of The Forgotten Fifth, Nash poses the question of whether or not slavery could have been abolished, and he gives the reader different perspectives? Now sure about you, but I was told over and over and over again that the main reason why slavery was not abolished is because the ending of slavery would weaken "The Union." And, for some reason, I believed this. However, I am grateful for Nash who gave me something new to think about. He proposes that Benjamin Franklin, John Adams, George Washington, Thomas Jefferson and many more could have made different decisions. And, in contrast, he gave examples of people like Robert Carter III who did make a different decision. Carter was from a huge slaveowning family in Virginia, and he felt that it was 'his duty' to free his slaves. Carter freed all 509 of his slaves and many other slaveowners followed in his footsteps. I finished this book feeling even more liberated and empowered knowing that 'my people' were not passively waiting to be freed but were actively participating in gaining their freedom. On the other hand, I am still grappling with my feelings toward quite a few of the forefathers, including Thomas Jefferson, who felt that Blacks were innately inferior yet he had a long-term relationship and fathered children with an African American: Sally Hemings. 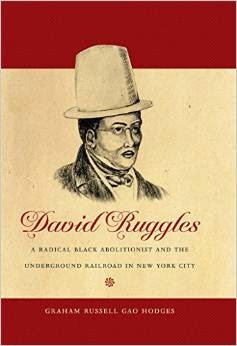 So, to that end, I'll be reading David Ruggles: A Radical Black Abolitionist and the Underground Railroad in New York City. This book was written by Graham Russell Gao Hodges who will be my fearless leader this summer as I study Abolitionism and the Underground Railroad at Colgate University. Reading can be liberating, My People! Thanks for stopping by The Big Sea Cedric. This is the first book that we will discuss this summer, and I think that it is a good place to start. I am enjoying these readings so much. See you soon....No cooking, cleaning, being grown...I can’t wait. I am doing a book project on The Forgotten Fifth. I appreciate your blog! I have to ask: what is the connection of the title to the story? There are countless names in the book. What is, The Forgotten Fifth? Victoria, The Forgotten Fifth is the fifth of the population, African Americans, during the age of the Revolution that were largely ignored. Thanks for stopping by, and good luck with the book project.